The word boat is a noun. Boat means (1) a small vessel for travel on water, (2) a dish (often boat-shaped) for serving gravy or sauce. Boat is also a verb that means (1) ride in a boat on water. 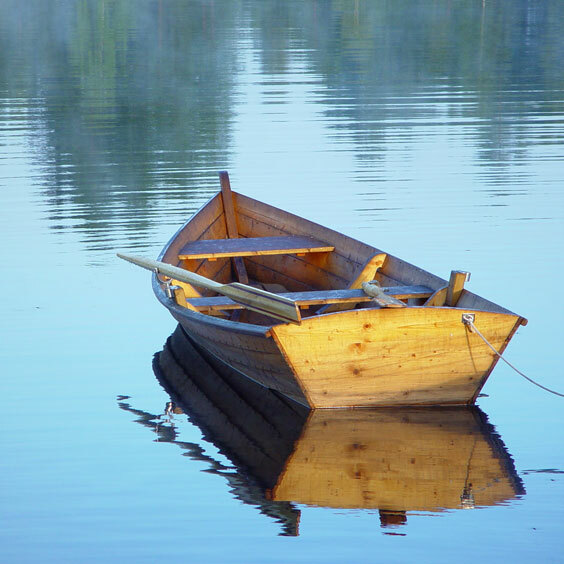 The following articles and web pages elaborate on the word boat. Visit this Pinterest board to find selected photos of boats and recreational boating activities. Visit this boat builder directory for information about boat builders in the United States of America. The photograph on this page depicts the construction of a fishing boat. Boats provide a unique kind of relaxation and enjoyment, but the decision to purchase a boat involves careful research and consideration. Learn about buying a boat and find boat builder links, by state. Browse this boat dealer directory for information about boat dealers in the United States of America. The photo on this page shows a yacht dealer demonstrating two yachts to a potential customer. Power boats are a popular way to enjoy the open water. Learn more about power boats and find links to popular power boat manufacturers. Boating activities, on lakes, rivers, and oceans, are popular with people who love the outdoors. This boating portfolio includes a series of boating videos that are highlight boats such as motorboats, sailboats, yachts, and fishing boats. This magazine features information about all types of boats, maintenance, boat engines, and gear. There are new boat reviews as well as discussions of boat motors and water sports. Browse this trailers manufacturer directory for info about trailer manufacturers and distributors in the United States. The photo on this page shows a boat mounted on a boat trailer. Chris Craft is a U.S. builder of motor yachts, launches, cruisers, and bow-riders that range in length from 22 feet to 42 feet. In their boat designs, Chris Craft focuses on elegance, reliability, and quality. The following articles provide recent boat-related news. CNET. Tuesday, 23 Apr 2019 22:01:35 +0000. Fox News. Tuesday, 23 Apr 2019 02:06:37 GMT. ABC News. Sunday, 21 Apr 2019 12:01:11 -0400. Reuters. Saturday, 20 Apr 2019 17:01:53 -0400. Emma Snaith. The Independent. Saturday, 20 Apr 2019 15:30:00 GMT. BBC News. Friday, 19 Apr 2019 17:34:32 GMT. BBC News. Thursday, 18 Apr 2019 12:25:12 GMT. The following pages provide more extensive boat news. Recent news stories about the topic boats, aggregated from diverse, English-language news sources. Recent English-language tweets that include the hashtag boats. The following digital image illustrates the word boat.